Are you thinking about purchasing an investment property? Well, there is no better time to do so than during the winter season. Buying a home now means you can benefit from low competitive rates offered by your Hamilton mortgage broker. 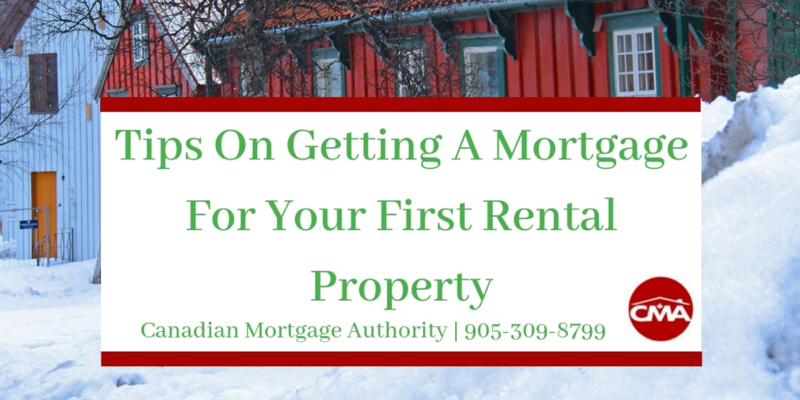 So, to help you get started, the Canadian Mortgage Authority team has listed some useful tips on getting a mortgage for your first rental property. Your credit score is extremely important when going through the Hamilton mortgage process for an investment property. Your broker will want to be sure you have great credit or else you risk your application getting denied. Instead, focus on raising your score by paying off high-interest loans and avoid being in too much debt. Buying a home as an investment property is an excellent way to make an additional source of income. But before you can start reaping the benefits of this extra cash flow, you will need to have a stable income in order to qualify for a mortgage. Make sure you are currently employed and have been so for at least two years. The longer you have been with your current employer, the better you will appear. Having a substantial amount of savings is key to buying your first rental property. Your mortgage broker in Hamilton will want to be sure you have enough money saved so you can afford your down payment. There is a minimum 20% requirement for a down payment on rental properties, so be sure you have enough cash reserves to afford this payment. Another option is to borrow equity from your home to use towards the downpayment. Before you begin the application process, make sure you know the area in you which you want to purchase your rental property. Speak with a mortgage professional so you know what the going rates are for rent and how much your home could cost. For more details on tips for getting a Hamilton mortgage for your first rental property, please contact the Canadian Mortgage team at 905-309-8799.